The first fixed-wing aircraft to fly in Canada, the Silver Dart was designed and built with the assistance of Alexander Graham Bell. Its first flights were tested in New York, and then it was dismantled and brought to Bell’s residence in Nova Scotia for its inaugural flight. 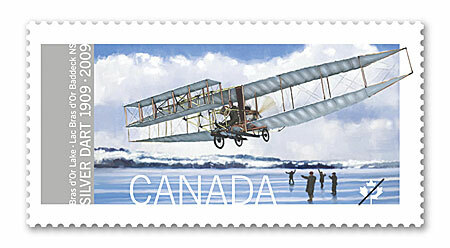 More than 100 witnessed the flight on that winter day, and Canada took its place in aviation history. It later crashed in Petawawa, Ontario, but its engine can still be viewed at the National Museum of Science and Technology in Ottawa, as well as a full-size model of the plane at the National Museum of Aviation.